What is Nanotechnology and What Can It Do? What are the Experts Saying About Nanotechnology? What About Nanotechnology in the Developing World? What are the Potential Benefits for Developing Countries? What are the Unknowns and what Other Questions are being Asked? Nanotechnology is a field of research and innovation concerned with building 'things' - generally, materials and devices - on the scale of atoms and molecules. A nanometre is one-billionth of a metre: ten times the diameter of a hydrogen atom. The diameter of a human hair is, on average, 80,000 nanometres. At such scales, the ordinary rules of physics and chemistry no longer apply. For instance, materials' characteristics, such as their colour, strength, conductivity and reactivity, can differ substantially between the nanoscale and the macro. Carbon 'nanotubes' are 100 times stronger than steel but six times lighter. Nanotechnology is hailed as having the potential to increase the efficiency of energy consumption, help clean the environment, and solve major health problems. It is said to be able to massively increase manufacturing production at significantly reduced costs. Products of nanotechnology will be smaller, cheaper, lighter yet more functional and require less energy and fewer raw materials to manufacture, claim nanotech advocates. In June 1999, Richard Smalley, Nobel laureate in chemistry, addressed the US House Committee on Science on the benefits of nanotechnology. "The impact of nanotechnology on the health, wealth, and lives of people," he said, "will be at least the equivalent of the combined influences of microelectronics, medical imaging, computer-aided engineering and man-made polymers developed in this century." Others, however, are as cautious as Smalley is enthusiastic. Eric Drexler, the scientist who coined the term nanotechnology, has warned of developing "extremely powerful, extremely dangerous technologies". In his book Engines of Creation, Drexler envisioned that self-replicating molecules created by humans might escape our control. Although this theory has been widely discredited by researchers in the field, many concerns remain regarding the effects of nanotechnology on human and environmental health as well as the effect the new industry could have on the North-South divide. Activists worry that the science and development of nanotechnology will progress faster than policy-makers can devise appropriate regulatory measures. They say an informed debate must take place to determine the balance between risks and benefits. Given the promise of nanotechnology, the race is on to harness its potential - and to profit from it. Many governments believe nanotechnology will bring about a new era of productivity and wealth, and this is reflected by the way public investment in nanotechnology research and development has risen during the past decade. In 2002, Japan was dedicating US$750 million a year to the field, a six-fold increase on the 1997 figure. The US National Science Foundation predicts that the global market for nanotech-based products will exceed US$1 trillion within 15 years. Paul Miller, senior researcher at the British policy research organisation Demos, said in 2002 that "already, roughly one-third of the research budgets of the biggest science-based firms in the US is going into nanotech" whilst the US National Nanotechnology Initiative's budget rose from US$116 million in 1997 to a requested US$849 million in 2004. In the developing world, Brazil, Chile, China, India, the Philippines, South Korea, South Africa and Thailand have shown their commitment to nanotechnology by establishing government-funded programmes and research institutes. Researchers at the University of Toronto Joint Centre for Bioethics have classified these countries as 'front-runners' (China, South Korea, India) and 'middle ground' players (Thailand, Philippines, South Africa, Brazil, Chile). In addition, Argentina and Mexico are 'up and comers': although they have research groups studying nanotechnology, their governments have not yet organised dedicated funding. In May 2004, the Thai government announced plans to use nanotechnology in one per cent of all consumer products by 2013. Their market value by then is predicted to be 13 trillion baht (more than US$320 billion at contemporary exchange rates). Indeed, Thailand has wholeheartedly embraced nanotechnology and its development is a major commitment of the Thai government. Likewise, China announced in May 2004 that nanotechnology is central to its long-term national science and technology plan. Nanotechnology holds the promise of new solutions to problems that hinder the development of poor countries, especially in relation to health and sanitation, food security, and the environment. In its 2005 report entitled Innovation: applying knowledge in development, the UN Millennium Project task force on science technology and innovation wrote that "nanotechnology is likely to be particularly important in the developing world, because it involves little labour, land or maintenance; it is highly productive and inexpensive; and it requires only modest amounts of materials and energy". Nanotechnology is already useful as a tool in health care research. In January 2005, researchers at the US Massachusetts Institute of Technology used 'optical tweezers' - pairs of tiny glass beads are brought together or moved apart using laser beams - to study the elasticity of red blood cells that are infected with the malaria parasite (see Tiny tools tackle malaria). The technique is helping researchers to better understand how malaria spreads through the body. But nanotechnology could also one day lead to cheaper, more reliable systems for drug-delivery. For example, materials that are built on the nanoscale can provide encapsulation systems that protect and secrete the enclosed drugs in a slow and controlled manner. This could be a valuable solution in countries that don't have adequate storage facilities and distribution networks, and for patients on complex drug regimens who cannot afford the time or money to travel long distances for a medical visit. Filters that are structured on the nanoscale offer the promise of better water purification systems that are cheap to manufacture, long-lasting and can be cleaned. Other similar technologies could absorb or neutralise toxic materials, such as arsenic, that poison the water table in many countries including India and Bangladesh. Tiny sensors offer the possibility of monitoring pathogens on crops and livestock as well as measuring crop productivity. In addition, nanoparticles could increase the efficiency of fertilisers. However, the Swiss insurance company SwissRe warned in a report in 2004 that they could also increase the ability of potentially toxic substances, such as fertilisers, to penetrate deep layers of the soil and travel over greater distances. In addition, researchers in both developed and developing countries are developing crops that are able to grow under 'hostile' conditions, such as fields where the soil contains high levels of salt (sometimes due to climate change and rising sea levels) or low levels of water. They are doing this by manipulating the crops' genetic material, working on a nanotechnology scale with biological molecules. The application of nanotechnology in the field of renewable and sustainable energy (such as solar and fuel cells) could provide cleaner and cheaper sources of energy. These would improve both human and environmental health. Tiny wastewater filters, for example, could sift emissions from industrial plants, eliminating even the smallest residues before they are released into the environment. Similar filters could clean up emissions from industrial combustion plants. And nanoparticles could be used to clean up oil spills, separating the oil from sand, removing it from rocks and from the feathers of birds caught in a spill. Research has shown that nano-sized particles accumulate in the nasal cavities, lungs and brains of rats, and that carbon nanomaterials known as 'buckyballs' induce brain damage in fish. Vyvyan Howard, a toxicologist at the University of Liverpool in the United Kingdom, has warned that the small size of nanoparticles could render them toxic, and warns that full hazard assessments are needed before manufacturing is licensed. Many interested parties, including the Canadian ETC Group and the insurance company SwissRe, have expressed their concern over releasing tiny particles which, because of their small size, are able to travel very far into the environment. They warn that we do not yet know how these particles will act in the environment or what chemical reactions they will trigger on meeting other particles. However, these same groups also concur with nanotechnology advocates who feel the field may offer 'cleaner' technologies, and, ultimately, a cleaner environment. But mostly, the concern is for the lack of research into nanotechnology's potential threats to human health, society and the environment. In a paper published early in 2003, Anisa Mnyusiwalla, Abdallah Daar and Peter Singer, of the Universiy of Toronto, Canada, wrote, "As the science of nanotechnology leaps ahead, the ethics lags behind. … We believe that there is danger of derailing nanotechnology if serious study of its ethical, environmental, economic, legal and social implications does not reach the speed of progress in the science." According to Singer and his colleagues, in 2001, the US-based National Nanotechnology Initiative allocated US$16-28 million to studying societal implications, but spent less than half that amount. • The toxicity of bulk material, such as solid silver, does not help predict the toxicity of nanoparticles of that same material. • Nanoparticles have the potential to remain and accumulate in the environment. • They could accumulate in the food chain. • They could have unforeseen impacts on human health. 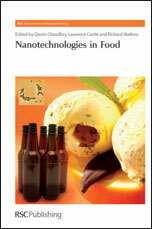 • The public has not been sufficiently involved in debates on the applications, uses, and regulation of nanotechnology. • 'Grey goo': Tiny robots generated with nanotechnology could acquire the ability to self-replicate. • If the rich countries are the main drivers of the development of nanotechnology, applications which benefit developing nations will be side-lined. • Unless rapid action is taken, research into nanotechnology could progress faster than systems can be put in place to regulate its applications and their uses. Although some of these concerns, mainly the 'grey goo' theory, have been widely discredited by researchers in the field, most remain high on the agenda of activists. The ETC Group has demanded that a UN moratorium be placed on all nanotechnology applications that could come into contact with the human body. The ETC Group has also expressed concern that the control of nanotechnology research and development might remain firmly in the hands of industrialised nations. The result would be a bias towards developing applications that benefit rich countries but neglect the needs of the poor. "Significant nanotech activity is already occurring in developing countries," writes the UN Millennium Project task force on science technology and innovation in its 2005 report. "This activity may be derailed by a debate that fails to take account of the perspective of developing countries." The authors then caution that this activity could be ruined if public and policy debates fail to take account of the perspective of developing countries. At the time of writing, a global dialogue of stakeholders was underway to determine the potential impacts of nanotechnology on such countries (see Can tiny science bring big solutions to world’s poor?). Advances in nanotechnology have built on advances in microscopy. As well as allowing molecules to be imaged, the Scanning Tunnelling Microscope (patented in 1982) allowed researchers to manipulate them by picking up and moving individual atoms. This is the essence of 'bottom up' or molecular nanotechnology - the notion that molecular structures can be built atom-by-atom. Some claim that nanotechnology could ultimately lead to the miniaturisation of controlled production to the molecular level in much the same way as happens in human cells when, for instance, enzymes break and rearrange bonds holding molecules together. The vision is of potentially self-replicating 'assemblers' - tiny devices operating in unison like miniature versions of factory assembling lines - to produce 'nanomaterials', new products that will revolutionise construction, medicine, space exploration and computing. The theory is well ahead of current realities and while some warn that self-replicating 'nanobots' pose an immense threat to humanity, others dismiss the idea as impossible. However, a recent production of a nano-conveyor belt that moves streams of particles rather than individual ones along a nanotube represents a major breakthrough, as does the development of a 'DNA robot' ten nanometres long capable of 'walking' along a pavement also made of DNA. Other significant developments are the discovery of spinning molecular structures, which herald the possibility of power generation and controllable motion at the molecular level. In the 'top down' approach, which still dominates the field, pieces of material are machined and etched into nanoscale structures. Nanotech knowledge is rapidly growing. The number of scientific publications in the field grew from about 200 in 1997 to more than 12,000 in 2002. Despite this, relatively few products using nanoparticles are currently on the market. On the whole, the ones that are already on sale do not address the issues highlighted above, of health, food security and the environment. Rather, they have focused on consumer applications that include improved sunscreens, crack-resistant paints and scratch-proof spectacle lenses. Like electricity and the internal combustion engine, nanotechnology is an enabling technology. As such, it is predicted to precipitate a range of innovations. But what of the 'unknowns'? Is nanotechnology over-hyped? Can it fulfil its promise without comprising social norms and security? Are its proponents realistic in their claims of what nanotechnology can achieve? Or is it a runaway technology destined to wreak havoc with human health and the natural environment? Assessing the role of nanotechnology and guiding its progression will require cross-sectoral involvement of scientists, governments, civil society organisations and the general public. Informed debate is essential to try to avoid the polarisation of views illustrated by the issue of genetic modification. This 'quick guide' aims to provide a range of relevant information for those who would like to better understand and take part in this important debate. Authors: Catherine Brahic and Mike Shanahan. Source: The Science and Development Network website.